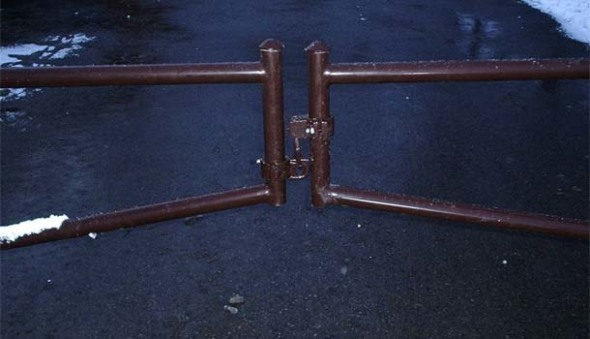 The cantilever gate itself does not touch the ground and is supported by rollers attached to two large posts. 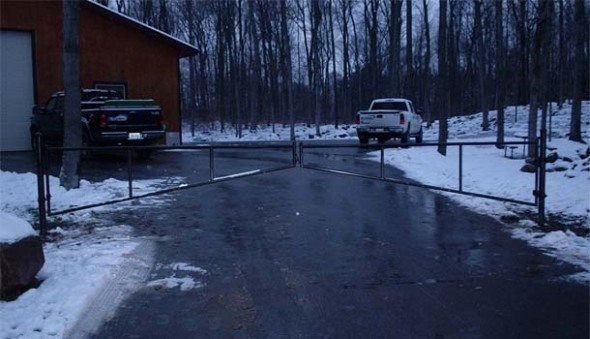 The gate will have a tail that is used to support the gate when it is in the open position that is approximately half of the length of the opening. 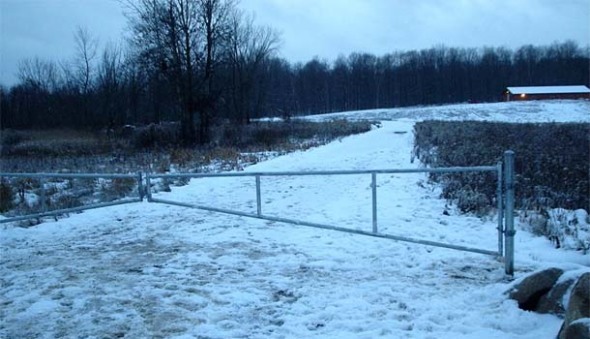 It is important to ensure that adequate clearance is allowed so that the gate can open fully. 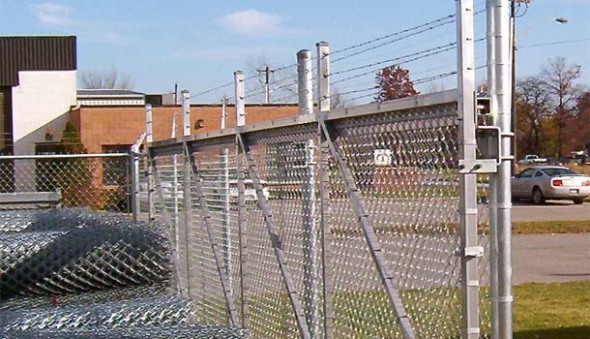 Cantilever gates are mainly constructed of chain link material. 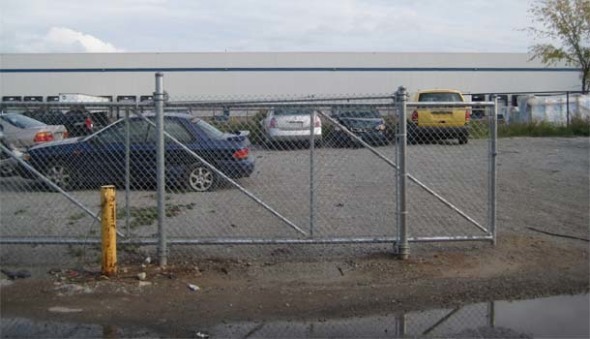 The swinging barrier gate is suitable for a variety of parking, road access and traffic management requirements for locations where a fully automated barrier or gate entry system is either not necessary or not cost effective. 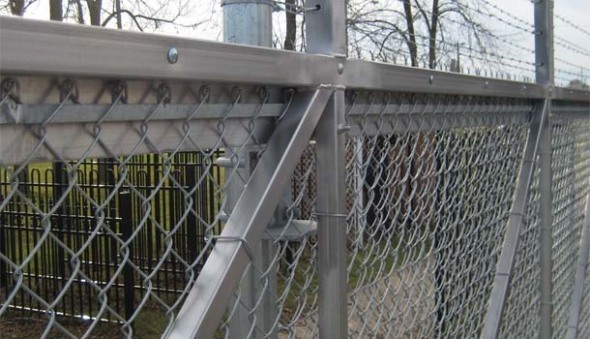 Our barrier gates can be latched together in the centre to provide a large entrance when gates are open, or fixed to a single centrepost to provide two separate entrances. 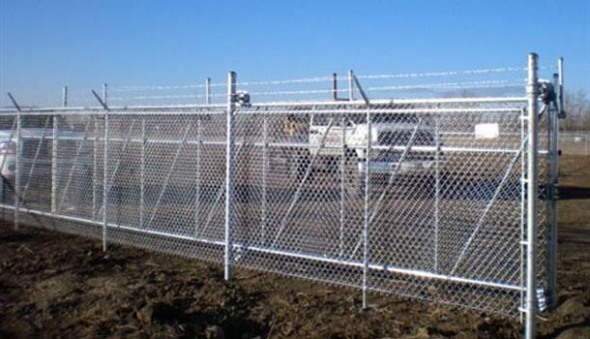 They can be locked in the closed position, or in the open position using an additional latch post or padlock. 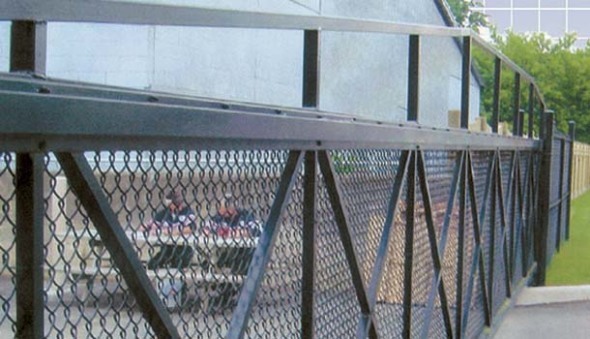 They can also be painted to your choice of black, brown, green, white or beige. 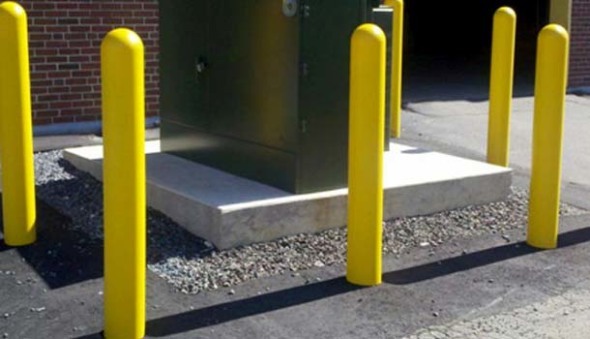 Security to stop vehicles, barriers and safety are the main reasons to install bollards on your premises. 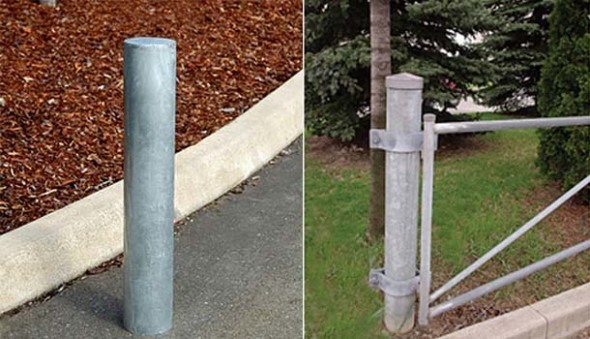 Bollards can be a permanent fixed post cemented in-ground to protect storefronts from drive-thru using vehicles for break and entry as well as a barrier to protect pedestrians’ safety.